Eng. 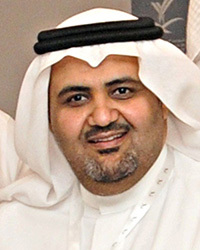 Ali Bin Saleh Al-Soma is Advisor to the Minister of Communications and IT in the Kingdom of Saudi Arabia. He also serves as the Director General of e-Government Program. Currently he is the Minister's Advisor for IT and Director General of the e-Government Program - Ministry of Communications & IT.